WASHINGTON — The Trump administration is moving to undercut a landmark agreement enabling Cuban baseball players to play on Major League Baseball teams, a senior administration official tells NBC News, by overturning an Obama-era decision that said Cuba's baseball league is not part of the Cuban government. "Major League Baseball has been informed of the dangers of dealing with Cuba," the senior administration official said. 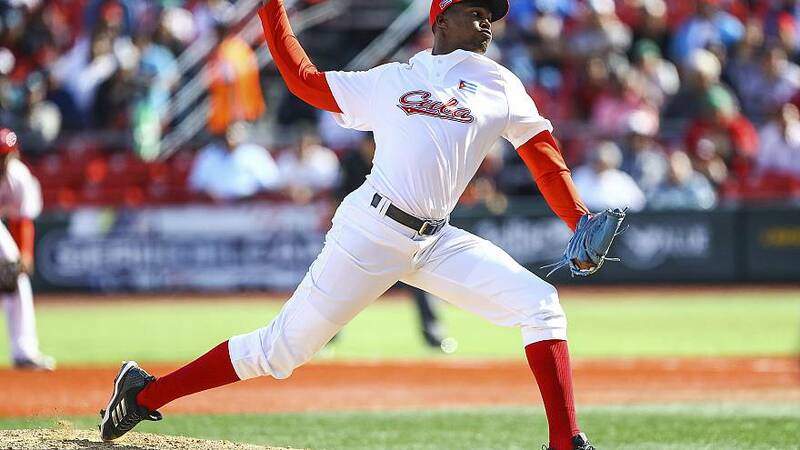 The move comes just months after MLB and the Cuban Baseball Federation reached a deal at the end of 2018 to facilitate Cuban baseball players joining U.S. teams without having to defect, as had been the case in years past. The U.S. economic embargo on Cuba prohibits Americans from doing business with the Cuban government, so the MLB deal relied on a ruling issued during the Obama administration that held that the Cuban Baseball Federation is not run by the government on the communist-run island. Now the Trump administration is undoing that ruling, meaning that any agreements for Cubans to play on U.S. teams will require specific licenses from the Treasury Department exempting them from the prohibition. It's likely the Trump administration would move quickly to grant those licenses. Hard-line critics of the Cuban government, such as Florida GOP Sen. Marco Rubio, have been ramping up pressure over the issue since Cuba earlier this month released the list of the first group of Cuban players who are eligible to sign direct contracts with MLB teams. There were 34 players on that list. The MLB, the Cuban Embassy in Washington and the U.S. State Department did not immediately respond to requests for comment on Monday. The Obama-era policy came as former President Obama had worked toward rapprochement with Cuba during his second term, re-launching diplomatic relations after more than half-century of enmity. It was intended to avoid the previous scenario under which Cuban players who wanted to play on U.S. teams had to defect and declare residency in the U.S. to join a team. Doing so often meant coming into contact with organized crime groups and risking violence. "The MLB deal with Cuba solved a horrible human trafficking problem," said James Williams, who runs the group Engage Cuba that promotes closer ties between the U.S. and the island. "By breaking that deal, the White House now owns this and exposes Cuban players to human rights abuses."